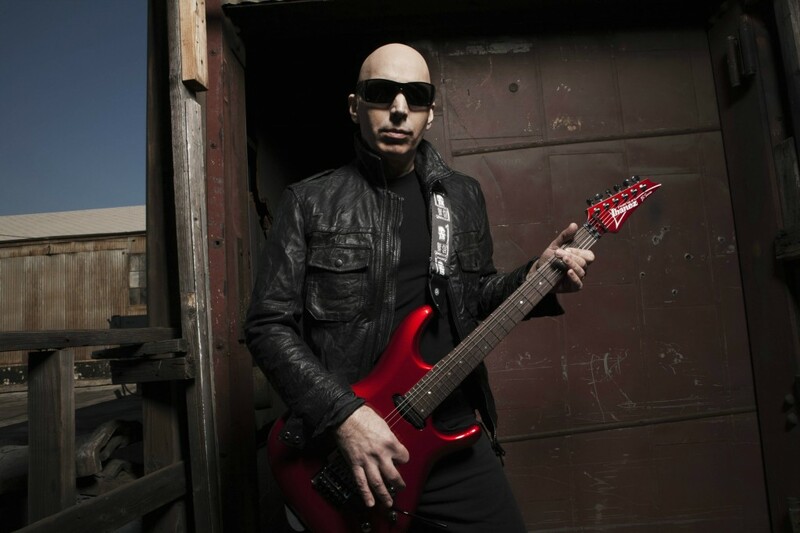 Joe Satriani is recognized as one of the most widely respected and technically accomplished guitarists of the last century. Satriani has revolutionized the electric guitar as an instrument, from his 1986 major label debut Not Of This Earth through to his 13th record, Unstoppable Momentum, released this past May. In a world dominated by pop music and vocalists, Satriani’s solo career success is even more impressive considering his work is instrumental. Between his studio and live efforts, Satriani has sold more than 10 million records worldwide and as a headlining act he routinely performs for sold-out audiences. Joe Satriani performs at Casino New Brunswick on Friday evening. The world of hard rock music could have been a vastly different place had Satriani stuck with his initial choice of musical instrument. “I started drumming at age nine but slowly, over a period of a couple of years, I realized I wasn’t going to be a great drummer,” Joe begins. “The drums were such a noisy instrument, too; I got a lot of grief from my other siblings about that. After the death of legendary guitarist Jimi Hendrix in 1970, Joe says his decision to pursue the guitar as his primary instrument was solidified. A short time later, Joe was teaching the instrument to others including Steve Vai, a renowned guitarist in his own right. In the late ’70s, Joe relocated to California from New York and it was there that his teaching career flourished. His students would include Metallica guitarist Kirk Hammett and Counting Crows’ David Bryson. Of course a big part of Satriani’s legacy has been built upon the fact he has used the guitar in such remarkable ways, which have allowed his music to remain vital and passionate without the need for a vocalist. Making a career out of being an instrumental artist was more of an accident than a deliberate move, however. “I spent my high school years and my early 20s playing in rock bands where I was sharing lead vocal duties or contributing background vocals. I got noticed for some music that I had essentially made as a home project of sorts and suddenly, I had a record deal and was then going on tour in late 1987 to support Surfing With The Alien. I told the record company I had never performed instrumental music in front of an audience — I was dreaming of being Jimmy Page, not Jeff Beck,” Joe says. Whether he had intended to become an instrumentalist or not, his playing began attracting widespread attention. Once his first tour behind Surfing With The Alien wrapped, Rolling Stones vocalist Mick Jagger hired Joe to accompany him on two different tours. Joe says that the rise from obscurity to being featured in the Wall Street Journal and Rolling Stone magazine was a little dizzying when he looks back on it but is an experience that he wouldn’t trade for the world. Asked if he considers writing exclusively instrumental music to be more of a challenge than if he were playing alongside a vocalist, Joe says that regardless of whether a band has a vocalist or not, there is a story to be told with every song. It is simply relying upon his guitar to tell the story. “You learn that the language you use is very important,” he says. “Students used to ask me how I go about doing this and my answer is always the same: If you were going to write a song about a house being on fire, you’d start the song by saying that the house was burning. It doesn’t really matter what you say after that because your audience knows exactly what you are singing about. Although Joe enjoys a successful solo career, that didn’t stop him from exploring other musical avenues. Together with Sammy Hagar, former Van Halen bassist Michael Anthony and Red Hot Chili Peppers drummer Chad Smith, the musical super group is known as Chickenfoot. The group has released two successful records to date with their most recent effort, III, having been released in 2011. Despite their individually hectic schedules, Joe says that plans are in the works for the group’s third full-length effort. “I’ve been working hard at getting everyone whipped up and excited about getting a new record underway. It is getting everybody corralled into one place that is the hardest thing to do,” Joe says. What: Joe Satriani with special guests Sit Down, Servant! When: Friday, Oct. 4, 8 p.m.
Tickets: Start at $55, plus service fee. Advance tickets are available at the Casino Gift Shop, by phone at 1-866-943-8849 and online at casinonb.ca.